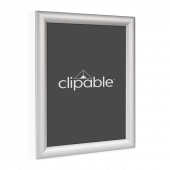 Our Clipable Snap Frames come with a FREE anti-glare PVC cover and are arguably the most popular way of displaying posters in a variety of business types from retail and leisure through to hospitality. 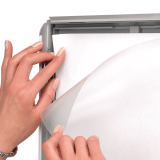 Click Frames, as they are also known, make it extra easy to replace posters and keep them looking brand new all year round, thanks to the layer of protection offered by the UV anti-glare PVC cover. The versatile product can be used portrait or landscape to create your perfect display. All of our Snap Frames come individually boxed with the fixings supplied with the frame. Easy. 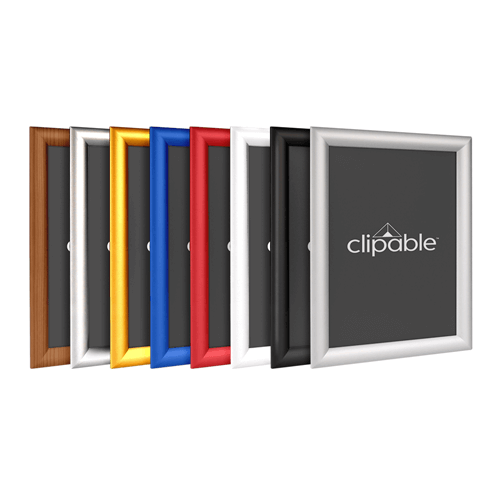 The simple single sided clip frame opening on all four sides means changing displays has never been easier. 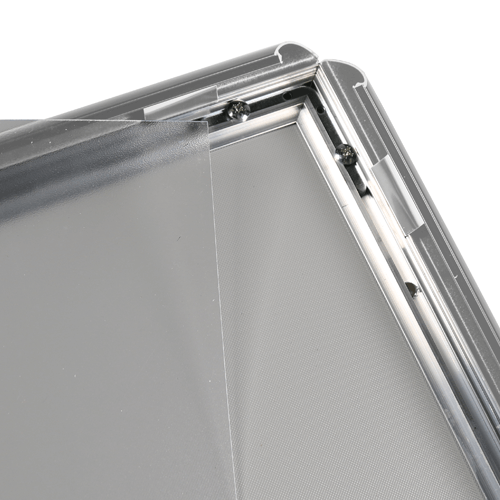 Simply open the aluminium frame, remove your old poster and slide in your new graphic. How are the frames supplied? The snap frames are sold as single units. How wide is the frame? 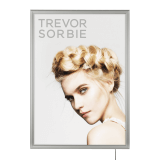 The frame on this product is 25mm wide, creating a 10mm overlap of your poster on each side. The frame projects from the wall approximately 20mm. 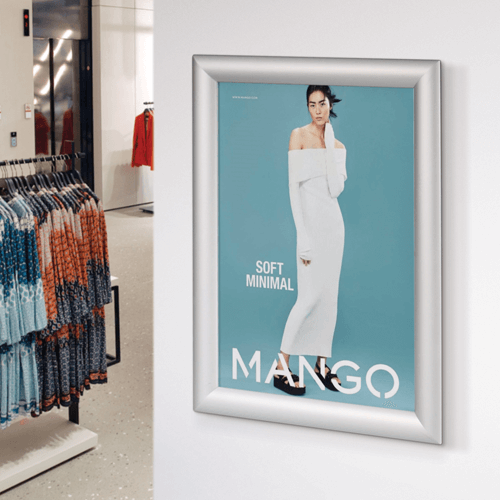 Yes, all of our Snap Frames include a high quality rigid styrene grey plastic back panel that helps support your POS display and keep your poster in place and neater for longer. The back panel is not transparent. 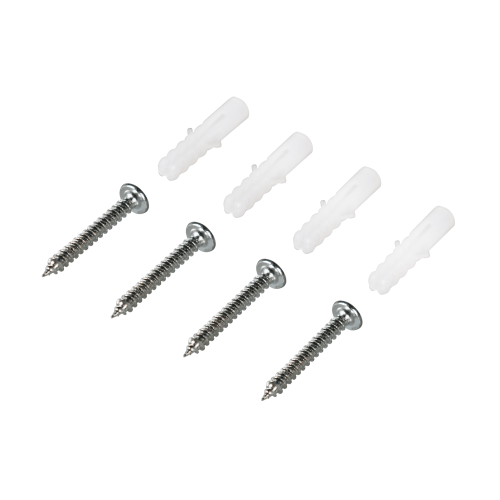 Yes, the aluminium Snap Frame comes pre-drilled with wall fixings and screws ready for wall mounting. The frame can also be mounted to walls using our 2cm double sided Adhesive Foam Roll. Yes, this aluminium frame can be powder coated in almost any colour. 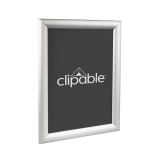 The frame is manufactured from aluminium with styrene back panel with a flexible PVC Poster Cover which is UV protected. This version is finished in anodised aluminium, but we also sell other versions with powder coatings in various colours including black, white, blue and red. Please note, these frames are not fire resistant as standard, but if you require fire resistant frames please enquire directly. This frame is suitable for outdoor use, however we recommend you print onto waterproof paper if you are going to be using this outside. 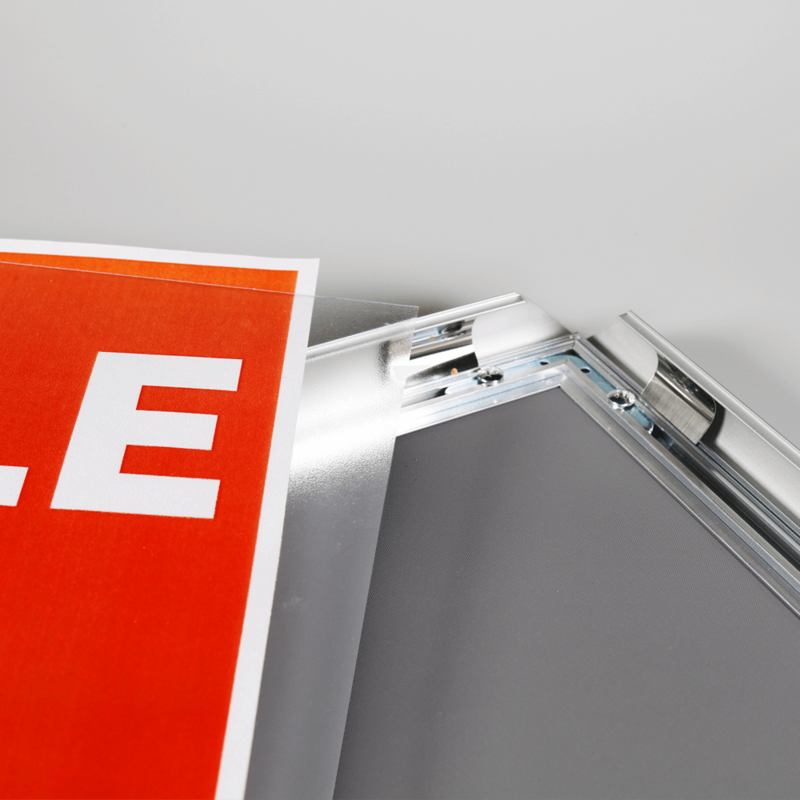 The frame can hold a poster with a maximum thickness of 1mm. 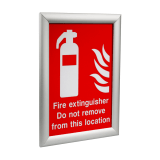 For external use the frames must be mounted onto a flat surface. 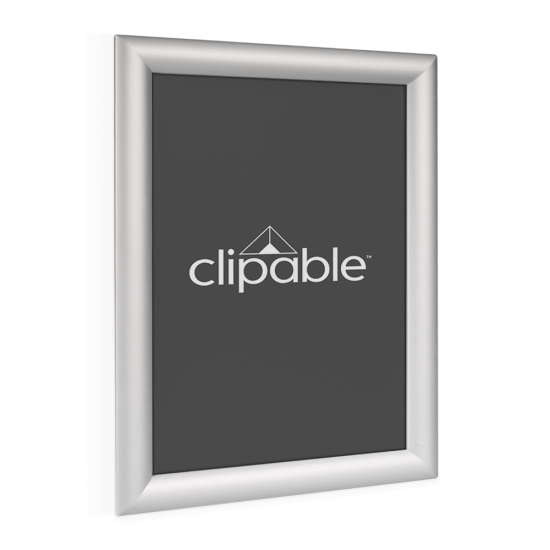 Please note, due to the lightweight design of our Clipable frames, we recommend displaying the larger frames (A0 and above) in a sheltered area that is not exposed to extreme weather conditions. 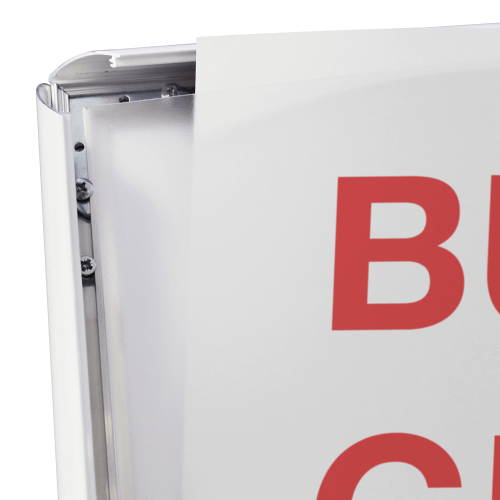 In rare circumstances, strong winds may loosen the protective cover causing it to blow away, exposing your poster to the elements.